KREYOL: Haiti - La Croix Rouge resevwa 500 million dola pou Haiti apre Goudougoudou a, yo konstwi 6 kay selman... Yo mande, yo mande sou DO Haitien malere ki anba tant... epi yo pa fè yon merrrrrd ak lajan an... Kisa ou panse de sa? The American Red Cross raised more than half a billion dollars to bring relief to Haiti after the devastating 2010 earthquake there, but it grossly overstated what the money bought. EXPOSE THEM TO THE WORLD AND TAKE LEGAL ACTION AGAINST THEM. MAKE THE ARTICLE GO VIRAL ORGANIZE MANIFESTATIONS. 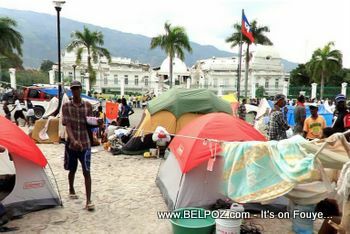 The Haitian Gvt should throw the Red Cross out of the country.